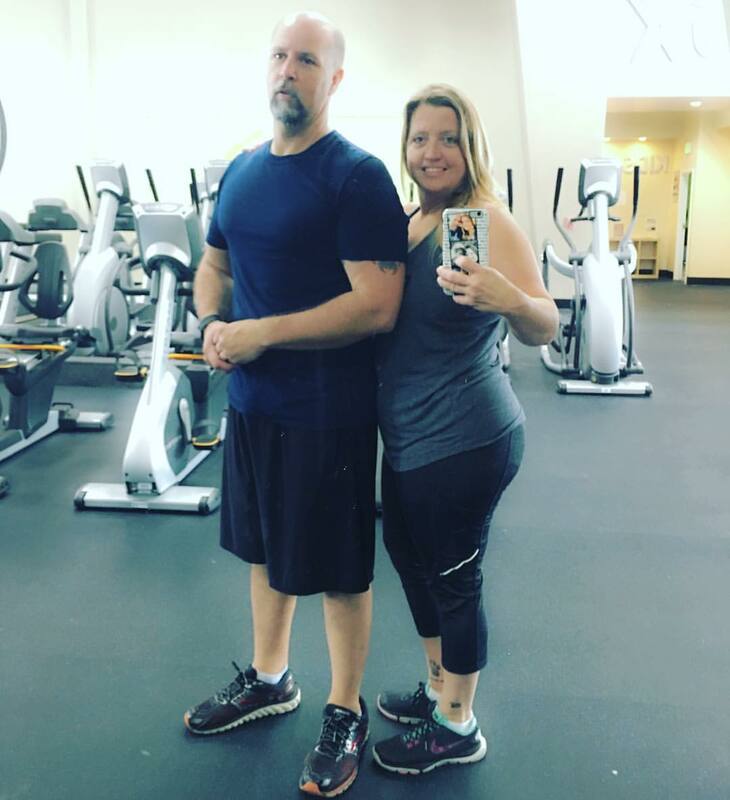 The couple that works out together…. 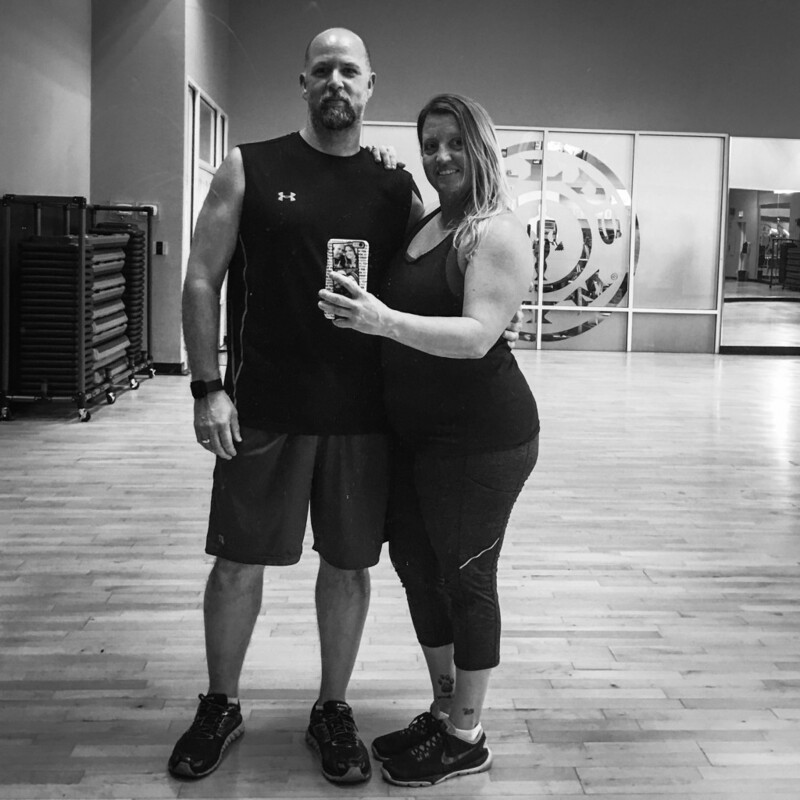 It’s no secret that hubby and I love our time in the gym. Whether it’s bootcamp, weights, cardio, or circuit machines, we enjoy it. Even if we are not doing the same thing, we are there together. Working out together at the gym carries over into life outside the gym as well. Have you ever wondered why this is? It’s all about having a support system. Knowing that after a long day at work, we get to spend time together at the gym taking care of ourselves is always nice to look forward to. We have the common goal of getting fit and we push each other to reach those goals. It’s about being proud of each other. I tell everyone how proud I am of hubby. He has lost 30+ pounds now, dropped his body fat by almost 10%, and is not even close to stopping. I cheer him on every day because he has made big changes in his diet and how he eats. He is losing body fat and building muscle. Sorry ladies, he’s all mine. Don’t even think about it…. It’s about teamwork. We push each other. From the moment we met 18 years ago, we’ve been competitive with each other. Our story started with a bet at the bowling alley, whoever won the game would go out with the other. Well, obviously it was a win-win, but being competitive with each other is fun and keeps us going. 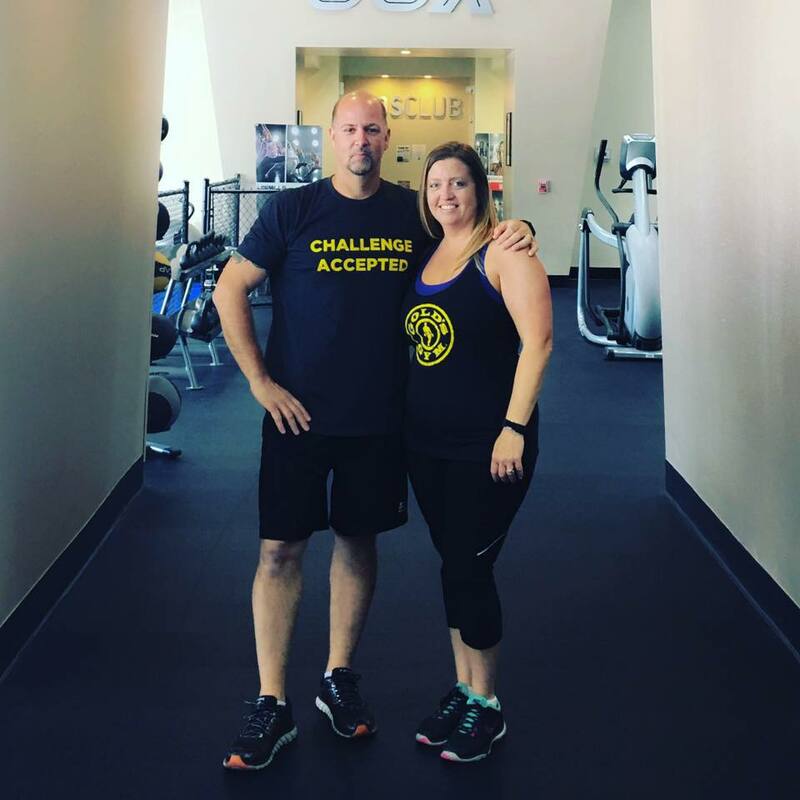 Hubby has been my biggest cheerleader at the gym, with our challenge, and working out. Just like he spent miles and miles with me while I trained for my marathon, he is right by my side for this journey. It’s about our bond. We’ve been together almost 18 years, married almost 16 years. We’ve been through quite a bit but at the end of the day, we have each other. After a great workout and he tells me great job, it makes me want to keep going. When we’re at home and eating a healthy meal together, it’s a common interest we are sharing. When we plan a Sunday afternoon at the gym, it’s about living life together. 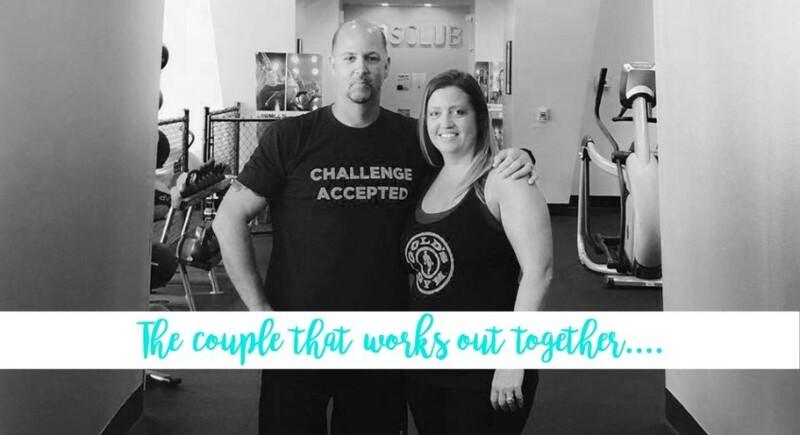 Do you work out with your significant other? This post is so awesome!! I love seeing the way you two support each other. To be honest, I frequently wish that Nick would eat better along with me, too. It’s hard seeing the way he eats, realizing that’s how I also ate before this past year. (So much! So bad!!) I often have to refrain from asking him to reconsider his food/portion choices. I say “no, thank you!” to food, while he says “yes!” and “more!” – It would be so great if we could be more supportive of each other, working together, in that sense. I couldn’t love this post more! My husband and I started running together a couple years into our relationship 10 years ago. 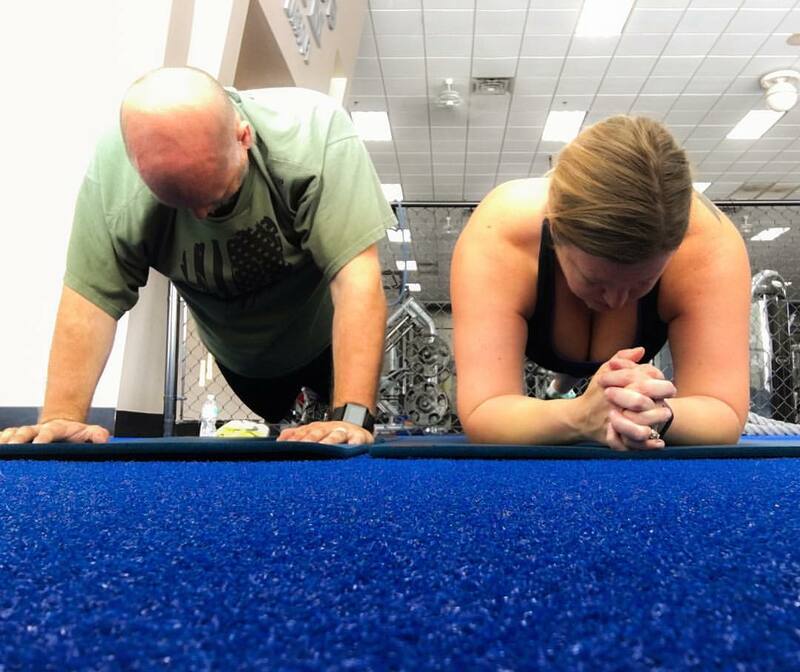 We still enjoy running together when we find the time and have always been side by side on our fitness journey. It’s the best and I’m thankful!